Connect-A-Desk: a wearable holder for laptops and tablets. It has an adjustable design and fits in most computer bags. 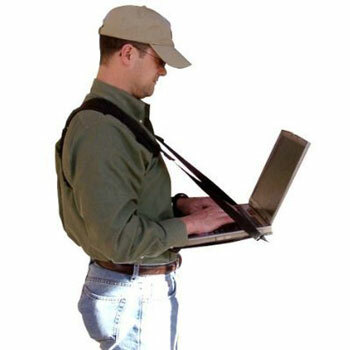 READYACTION Chest Harness for iPad: holds your tablet and fits most body types. It lets you use your tablet in portrait or landscape position. Thanko Hands-Free Tablet Holder: a hands-free iPad holder for train commuters. It has a shoulder strap and a built-in case for your tablet. 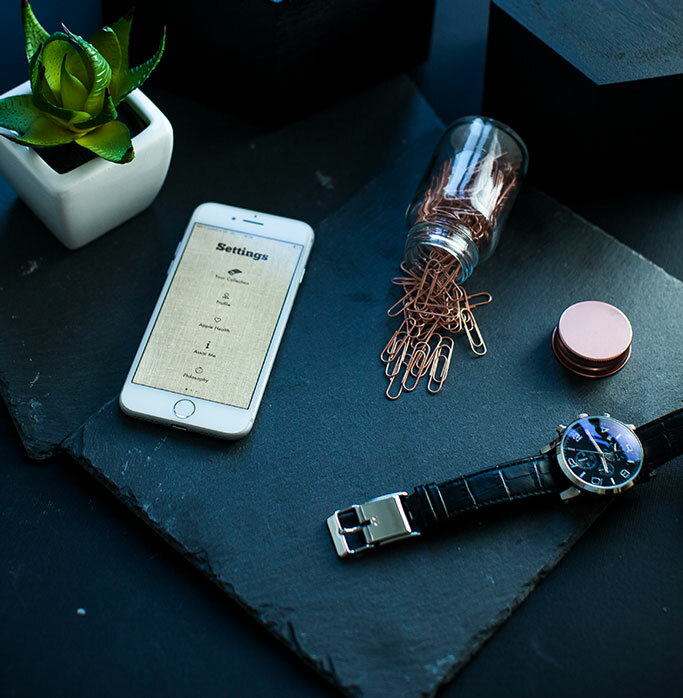 It is suitable for iPad, Nexus, Kindle Fire, and other comparable tablets. 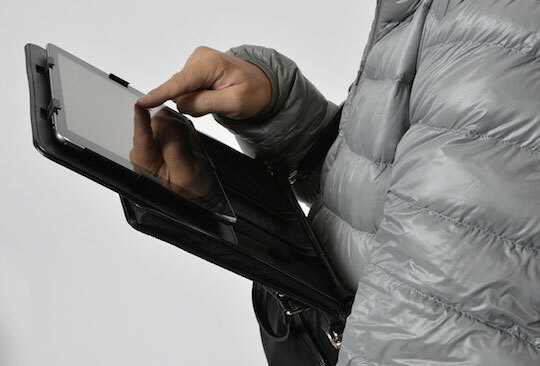 Have you found more reliable hands-free iPad holders? Please share them here.